This vessel is an SRN5 or Warden Class Hovercraft that was built in 1963 and launched on 17 November 1964. It There were only 14 such craft built, and they were the very first production hovercraft in the world. This particular one (006) is the last remaining British built SRN5 in the UK. She had 18 seats and the most powerful power-to-weight ratio of any hovercraft. Her design led directly to the larger SRN6 with the same engine but with 38 seats. This was the first of the 'modern' hovercraft. 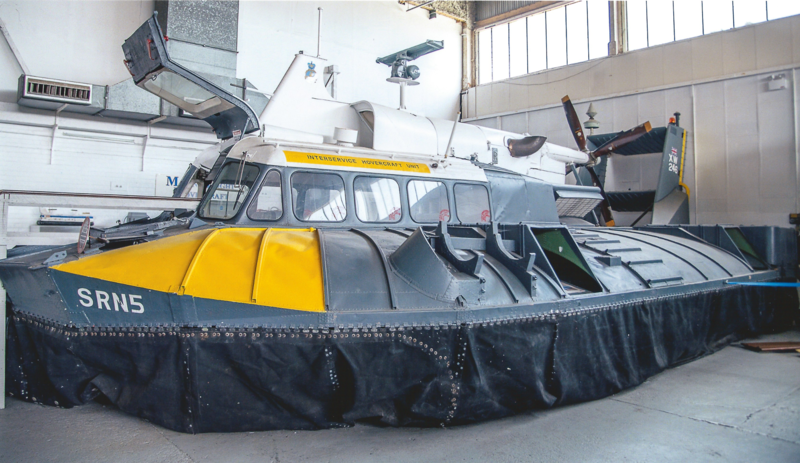 SRN5 (006) was used extensively to showcase the hovercraft in numerous countries and even to NATO. In 1966, whilst carrying out a demostration at Auckland airport in New Zealand, she interrupted the demonstration to rescue a parachutist who had landed in the sea. 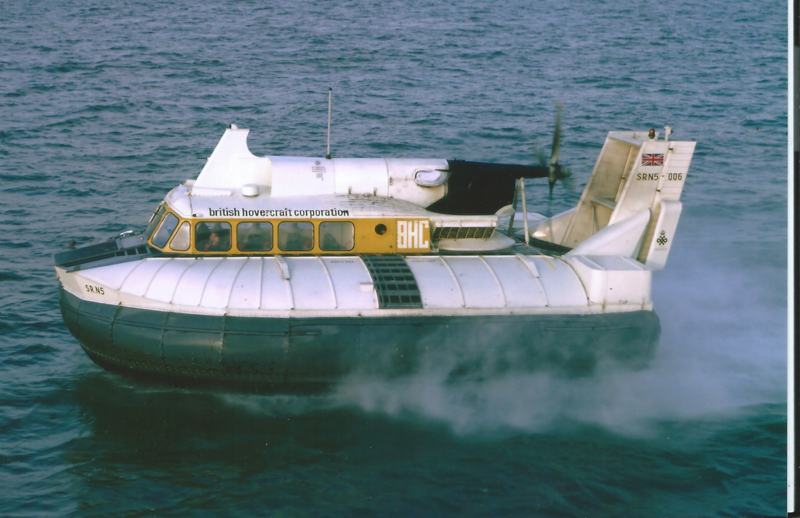 In teh same year she appeared in British Hovercraft Corporation (BHC) colours at the Hovershow at Browndown. In 1968 she was purchased by the Interservice Hovercraft Unit (IHU)based at HMS Daedalus, and she stayed there until 1974 doing experimental work. 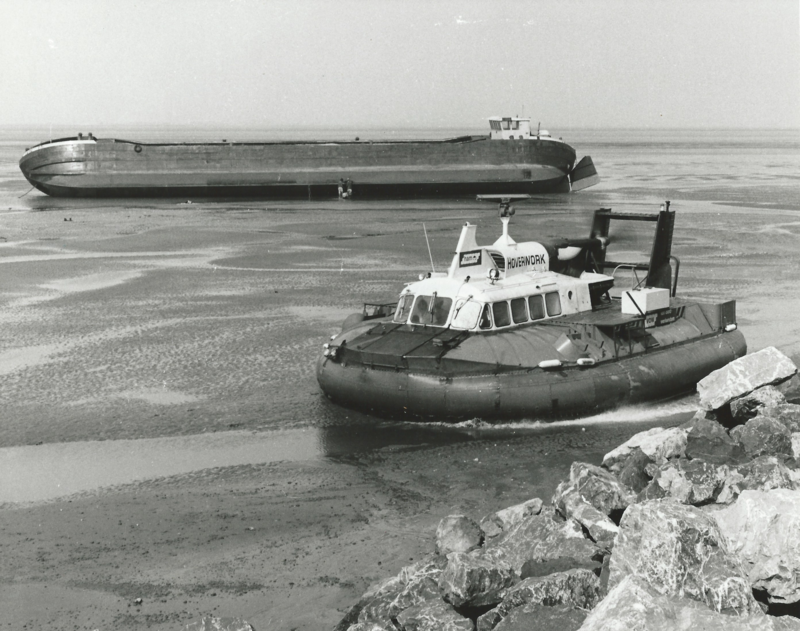 She had dual controls fitted, and over 50 pilots were trained in her, many from the Army Hovercraft Unit based at Browndown. She was used to survey landing sites to be used in the event of a major collision or fire at sea. She also played an important role in the evaluation of the Optical Navigation Aid, which assisted the navigator to identify navigation marks. In 1969 she was deployed to investigate refuelling techniques from a ship. 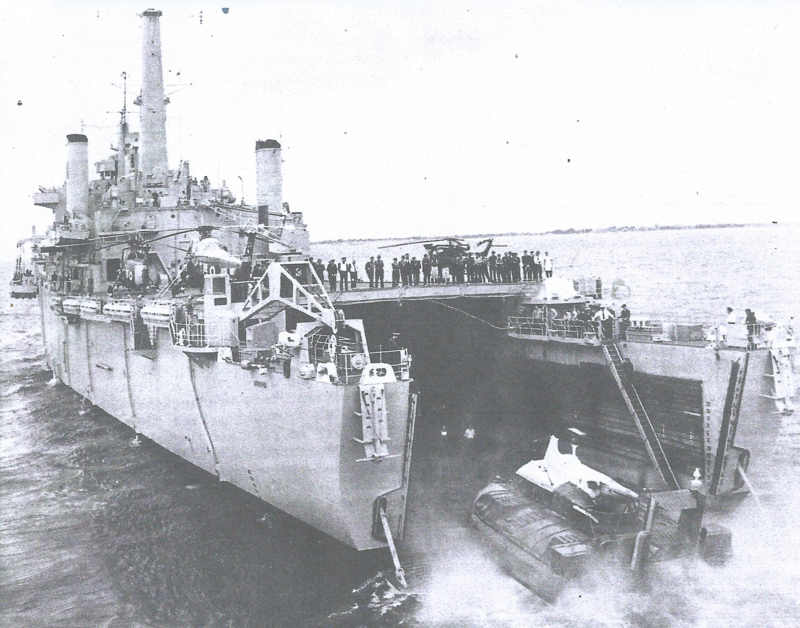 In 1971 she took part in an exercise with the assault ship HMS Fearless to assess docking manoeuvres. In 1974 she was purchased by Hoverwork for use on the Wash in the building of a reservoir. In 2013 she received a Engineering Heritage Award from the Institute of Mechanical Engineers.